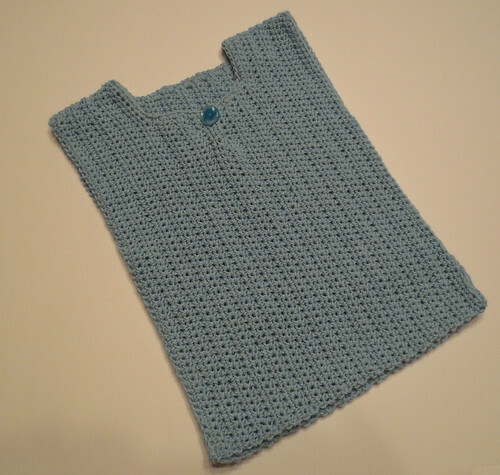 Using my Ana sweater vest pattern, I crocheted this baby vest using a sport weight yarn vintage yarn called Von-Cott in baby blue. I followed the exact pattern directions using 2 skeins or 3.5 ounces of the sport weight yarn. Finished vest size should fit a 6-12 month baby with measurements 9-1/2 inches wide by 12 inches long. 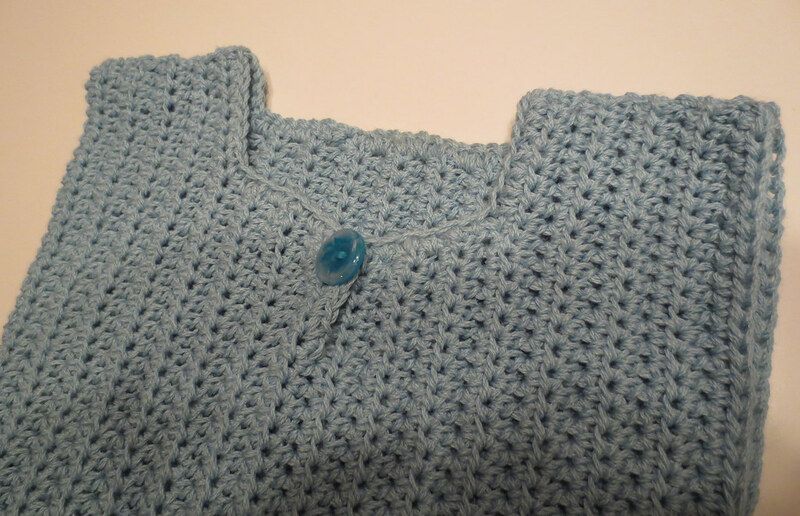 Here is a closeup of the baby sweater vest.